life science. I'm reading them a chapter-book on Beavers. Charlotte Mason has this term, "living book," for books where you learn facts about things by means of a story, which is the best setup for remembering information. When we were looking for a house to buy, I longed to spend some of our winter homeschooling hours reading to the boys around a roaring fire. As you can see by their clothing, learning happens at all times of the day. We played a bible running game in the backyard. Gym class was Archery! 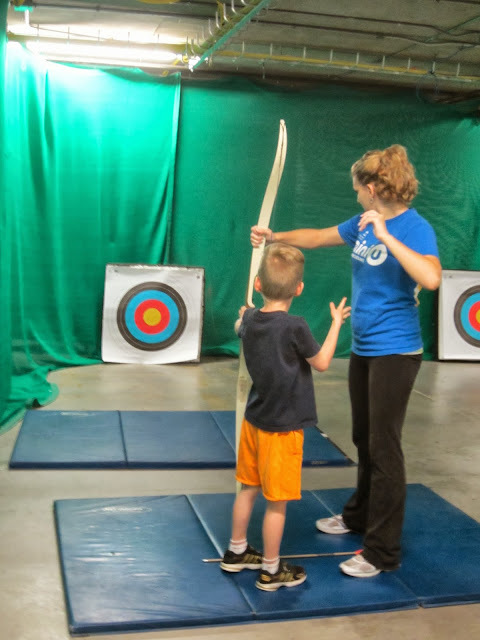 So exciting for a boy who wants to be Robin Hood! History was readings about Mummies! We read an adventure chapter book by Mary Pope on Mummies in Ancient Egypt. Last week's history lesson on hieroglyphs was kind of dull, but when storified by Mary Pope, it became interesting and fun. I really liked I am the Mummy Hebnefert, a mummy reflecting on her living past and current state. Play time in the garage. All 3 red tool boxes and the work bench belong to Abishai and Micaiah. I have to ask to borrow their tools if I want to do home projects. 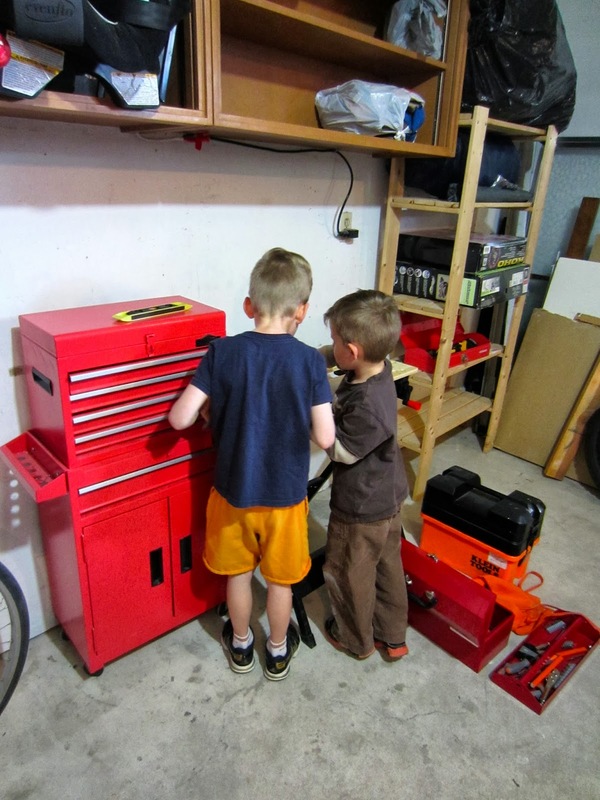 The boys helping to reorganize the garage. We moved the whole wood pile to a different spot. Taking apart some shelving that the previous owners left behind. The boys will be able to play with the pieces and make things of their own. Daren picked up a leaf blower at a garage sale for $5. 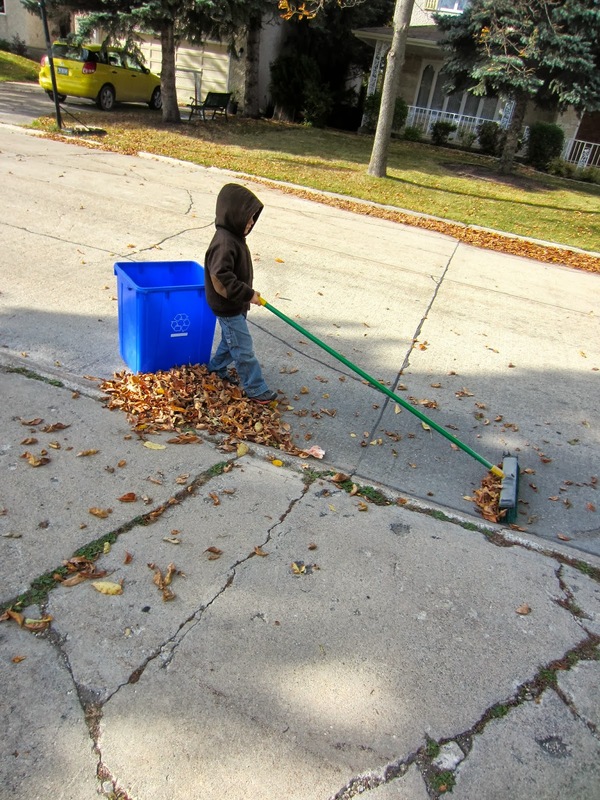 I normally don't rake leaves in the fall. I leave them to decay and send nutrients into the grass and soil, then rake what's left in the spring. But...I wanted to see if the blower worked and so I assembled it and let the boys have some fun. and gathered them into the bin. 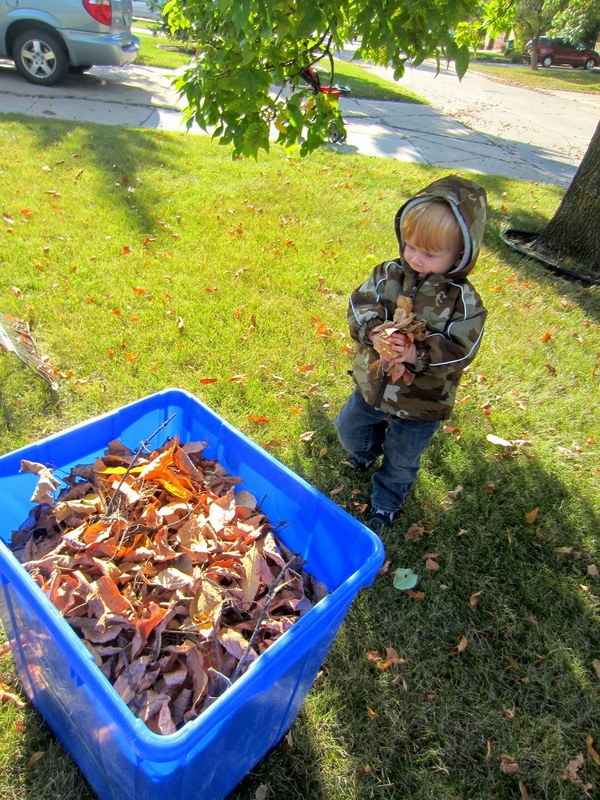 Asher wanted to help, "me help", he says. Lady Bugs were discovered, watched and played with.